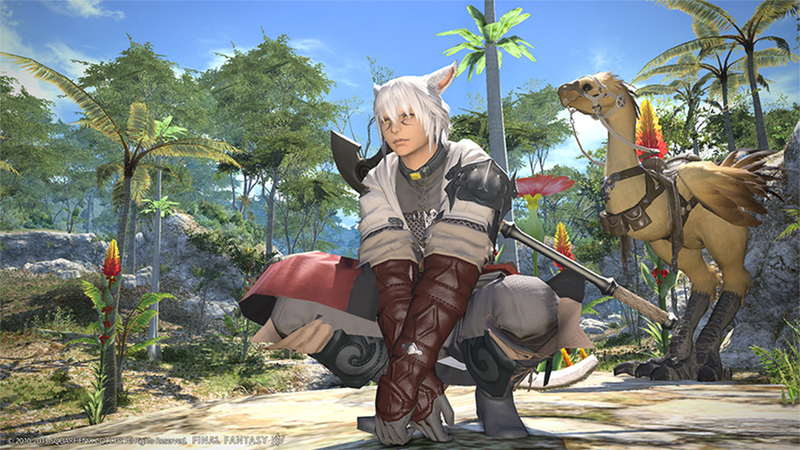 You might have a hard time playing Final Fantasy XIV: A Realm Reborn if you're new to the massively multiplayer online role-playing scene, but physical disability won't get in your way. The AbleGamers foundation has awarded Square Enix's well-received redux its Accessible Mainstream Game of the Year award. I felt Final Fantasy XIV: A Realm Reborn is a fine game, but my requirements for such don't take into account gamers playing under less-than-ideal physical conditions. Apparently Square Enix does, having scored high marks in AbleGamers' accessibility review, which considers players who, for instance, might be playing under limited mobility, vision, hearing or with missing limbs. "We are very honored to receive AbleGamers' Mainstream Game of the Year Award," said Naoki Yoshida, producer and director of Final Fantasy XIV: A Realm Reborn. "In terms of the visual aspect, especially how color is displayed, we took in the players' feedback and continuously performed updates so that any player from around the world can enjoy the game, and are firmly committed to this moving forward. I would like to formally express my gratitude to AbleGamers for recognizing our efforts." This year's Accessibility Awards expanded to include a number of additional categories. The Stanley Parable won Best Accessible Indie Game of the Year, while Paradox Interactive takes home the Includification Award for the work it performs making sure its convoluted strategy games demonstrate crucial accessiblity standards. Check out the full list of winners over at AbleGamers.